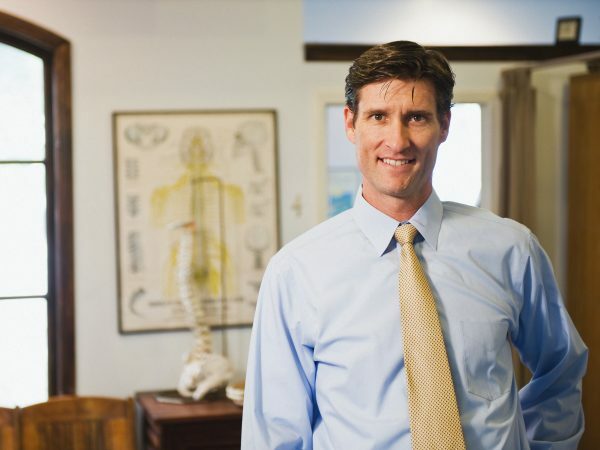 Dr. Scott grew up in a health and wellness focused home with his father, Donald R. Scott, D.C., who was a very knowledgeable and skilled chiropractor in Southern California. Dr. Don Scott built his own busy and successful health and wellness practice. It is from this environment of seeming health miracles that Dominique was inspired to pursue the same career, helping lives through high quality chiropractic care. Dr. Scott, aka “Dr. Dom,” received his bachelor’s degree at University of San Diego. Here he also discovered the sport of crew and competed on the USD men’s crew team. The chiropractic wellness lifestyle elevated its importance to Dr. Dom during these years as it clearly gave him knowledge, tools and proper care to support his body as a student athlete. In the early nineties Dr. Dom moved to Marietta, GA and began the Doctor of Chiropractic program at Life University. Shortly after entering the chiropractic program he also met his best friend and later to- be wife, Donna. Four years later they received their D.C. diplomas together and were married the next day.As an athlete himself, and his children emerging as athletes, Dr. Dom has embraced a new passion for helping youth and pro athletes maintain healthy body performance, recover from their training and competition properly, and prevent injury. Dr. Scott is the Director of Performance and Prevention for the NVL Pro Beach Series (National Volleyball League), which has allowed him to provide on-site support for several junior and pro beach volleyball tournaments. Currently Dr. Dom provides all the patient care, ranging from pregnancy and infant-care and children of all ages to adults into their nineties.